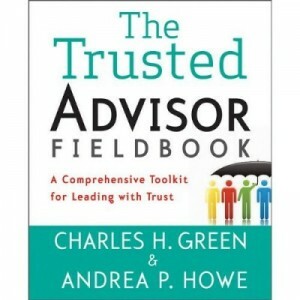 CNBC Asks Experts How to Improve Confidence in Business: Hmmm..
On July 22, the Gallup organization released their 2010 poll on US Confidence in Institutions. As Gallup headlined it, Congress scored an all time low (for all 16 institutions ranked, not just for Congress). Barely beating Congress for lowest confidence ratings were, in order, HMOs (15th out of 16), Big Business (14th), organized labor (13th), and television news (12th). The Presidency, which also shows declines, still ranks 7th out of 16. So it was fitting that CNBC (that would be in the 12th out of 16 group) put together a three part special panel discussion on “Restoring Trust in Business” (that would be in the 14th out of 16 group). The panelists included Gordon Bethune, Bill George and Myrtle Potter (representing the 14th out of 16 group), and Christie Todd Whitman (there wasn’t a category for ex-State Governors and Bush cabinet secretaries, but I’d hazard a wild guess she generally fit in). Interestingly, there was consensus on the panel about how to restore trust in business. Answer: It’s the government’s fault. Given Charlie’s blogpost of yesterday about the hazards of relying on those-who-summarize (including me), here are links directly to the show so you can make up your own mind. The four leaders invited have some fine credentials. Bethune was a revered CEO in the airline industry, where it’s very hard to be revered by anyone. George was a successful CEO, and writes on leadership. Potter was a COO at Genentech, and Whitman ran the State of NJ and the EPA. Good choices to opine about how business can regain confidence. We would expect that the first thing we’d hear from any one of these leaders on the subject of restoring confidence in their institutions would be a straightforward acknowledgment of what was lost, and a statement of responsibility for having lost it. Is that not unreasonable to expect of distinguished leaders? And indeed, every leader did get off at least one direct acknowledgment that business might have to improve itself—but having done the curtsey toward the question, the bulk of their comments were reserved for tax policy, government regulatory foibles, and flawed federal government policy. Q. If you look at the data Hartman reviewed before for us, the congressional approval rating is low. Yet contrast that with the issues that got accomplished this year; various reforms—what is it that isn’t connecting here? Whitman: You’ve seen a move in government away from policy to politics; everything’s partisan now. (She then proceeds to attack Nancy Pelosi). Q. 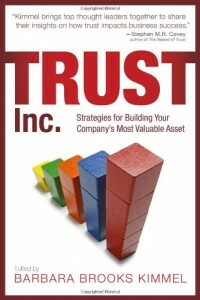 What do you think needs to be done to restore trust in business? Potter: Business needs to take responsibility for stewardship and its own governance. We can think of examples where that didn’t happen. We also have to think carefully about how we’re paying so we can drive innovation. Innovation used to drive the world from the US, but not now. Q. I’m interested in your view, Mr. George; you say the crisis wasn’t caused by subprime or derivatives. Wasn’t it caused by flawed leadership putting its own interests before its clients or its people? George: No question about that; we saw flawed leadership in Enron and all the companies that blew up back in 2003, we saw it on Wall Street. Most of those leaders and their companies have gone away. But it is about leadership in government. We need to emphasize policy not bickering; we need a jobs policy. I’d like to see the President step up to a rebuild America program. Q. In terms of business’s relationships to government, why doesn’t it seem to be working? Potter: Well everyone’s feeling the crunch, but what stands out is jobs. Jobs are so critical to America feeling more confident about the country, and yet this chasm has to be closed between government and business. Q. What is your best advice to the administration on what can be done to restore trust and confidence in business and in Wall Street? Whitman: Clearly we need a rigorous regulatory policy, but we need to stop this gotcha attitude of blame-throwing in congress. The BP disaster turned into a criminal investigations instead of focusing on how to fix things. Clearly there was a problem on the regulatory side as well. We need to show respect for each other. Bethune: You have to demonstrate some performance, not talk. No one in our government ever ran a business. The administration shouldn’t have focused on health care or regulatory reform, but on jobs…business doesn’t like uncertainty. Q. Most people don’t expect as good a world for their kids as they had. Whitman: The main thing is we’ve got to do is get deficit spending under control. Q. One reason people don’t have trust in business is that, at the height of the crisis, big financial companies took big bonuses and were bailed out: what’s your take on that, Mr. George? George: Goldman didn’t pay any bonuses last year. Trust is the fuel that enables society to run….but we need policies from government that create incentives. Goldman, JPMorganChase and are rethinking compensation to have pay for performance….investing in America….lower capital gains tax. But that won’t solve this jobs crisis. We’ve got to get back to investing in America. Q. What is your one piece of advice that would reassure people that the future is going to be better for them? Bethune: Tax policy; articulate it, make it pro growth, pro business, put cash to work, make the future clear in order to get confidence. You be the judge, but let us suggest a simple headline. When the institution that ranks 14th out of 16 shows up to talk about restoring confidence in their institution—given a decades-long decline—we ought to expect something more than a short-term political bashing of the 7th– and 16th-ranked institutions, a la the Sunday morning interview shows. (At this point, you might be thinking, "Oh yeah? Think you guys could do better?" https://trustedadvisor.com/public/ 250 480 Rich Sternhell http://trustedadvisor.com/public/trusted_advisor1.png Rich Sternhell2010-07-27 10:00:002010-07-27 10:00:00CNBC Asks Experts How to Improve Confidence in Business: Hmmm..